With the program totally secured by a French government commitment for 300 aircraft and 180 already on firm order, the RAFALE is in production and in service: all the hurdles that have derailed many other fighter programs have now been passed. The groundbreaking technology of the RAFALE and the continued existence of DASSAULT, SNECMA and THALES as world leaders in aerospace and defence provide the most durable, readily available and trustworthy basis for the development and the deployment of your next fighter. The RAFALE is slated to become eventually the sole type of combat aircraft operated by the French Air Force and French Navy. As a result, with the program totally secured by a French government commitment for around 300 aircraft, among which 180 are already on firm order, the RAFALE is in production and more than 100 aircraft are now in service. Everything that is necessary to maintain its combat relevance will be done. Starting in late 2012 2013, the RAFALE “OMNIROLE” fighters will be delivered with the “Active Electronically Scanned Array” (AESA) RBE2 radar. They will also be fitted with a new missile launch detector and a “Front Sector Optronics” updated unit (FSO-IT), offering improved target detection and identification performance. 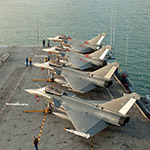 Meanwhile, engineering work is already being done to further extend the air-to-air and air-to-ground capabilities and the connectivity of the RAFALE well into the next decade. 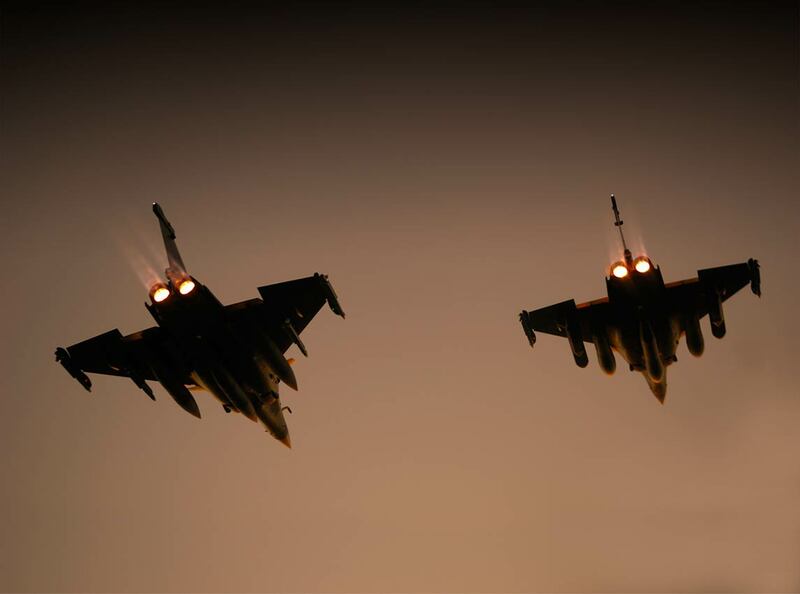 The ongoing effort will ensure more robust detection, tracking and identification of emerging air-to-air threats, and increase the RAFALE’s survivability with new low observable modes and with the latest advances in electronic warfare systems. Air-to-surface capabilities could benefit from assisted target recognition and enhanced sensor resolution, enabling the RAFALE to attack ever more elusive targets. New materials could extend the life of engine components. And the connectivity of the RAFALE will be further extended to keep it “plugged” into tomorrow’s integrated battlespace.